We are the first ALL female football club in Belfast. 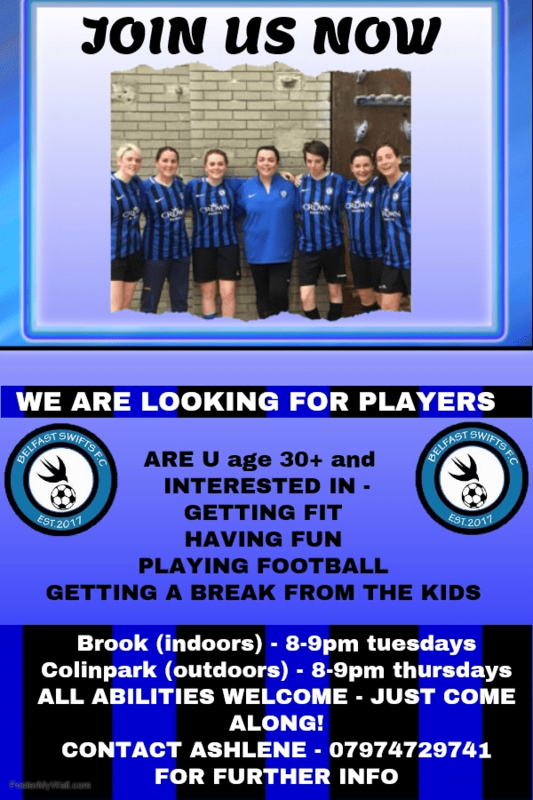 Over 30's ( for mums and others, who would like to have fun, meet other women, get a break from the kids and get fit while learning to play football). Training Tuesdays 8-9pm at Brook Activity Centre and Thursdays 8-9pm at Colinpark, Blacks Road. Our aim is to welcome every girl to our club who would like to play football . We believe that every child deserves to develop at their own pace and we aim to nurture their development in a safe, fun and caring environment.